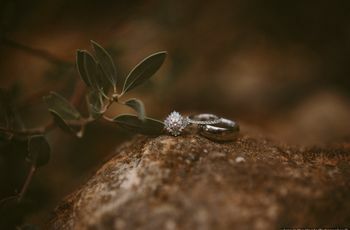 Whether you’re looking for budget-friendly alternatives or simply want your ring to stand out from the rest, there are a lot of reasons to consider non-diamond engagement rings. 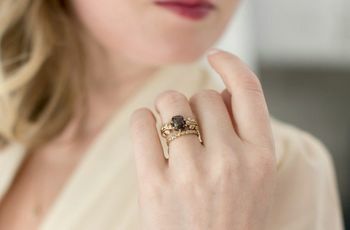 Breaking away from the traditional diamond ring isn’t for everyone, but it does create new opportunities to find a style that suits your needs and tastes perfectly. And once you’re open to the idea of engagement rings without diamonds, the options are seemingly endless! 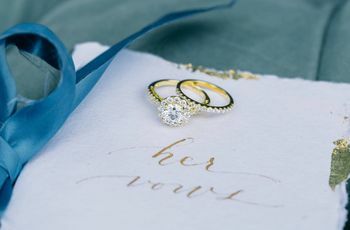 We’re sharing few of our favorite non-diamond engagement rings below. We’re seeing green! While emeralds might be the most well-known green gemstone, there are actually a range of stones that come in this vivid hue. 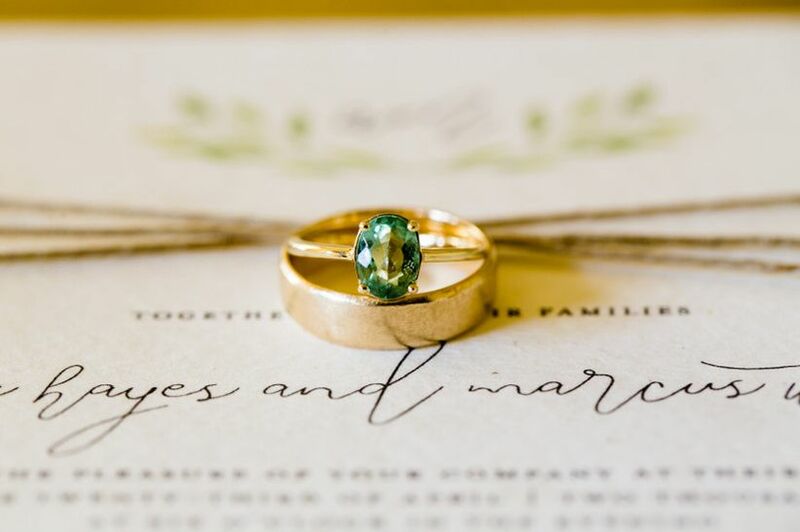 Garnets, jadeite, peridots, tourmaline, and even sapphires can all be found in various green colors, although they vary in rareness and price depending on the specific stone. A minimalistic yellow gold setting looks gorgeous against the bright green color of this oval-cut stone. 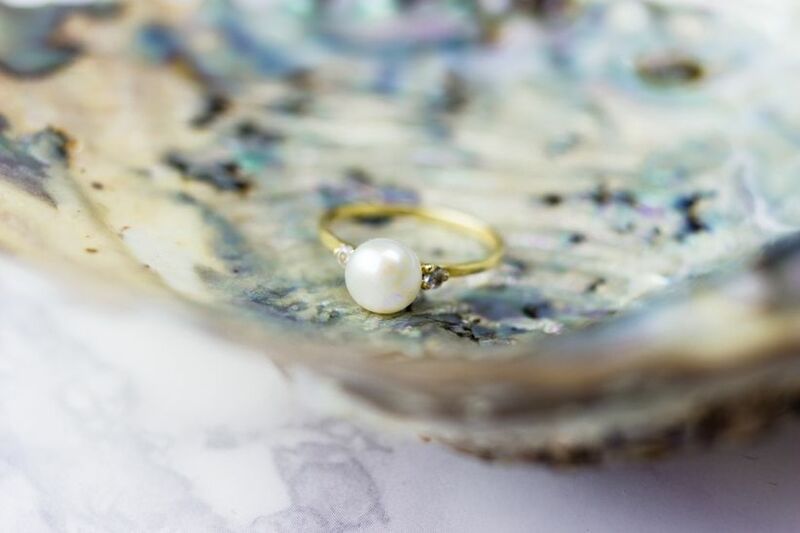 For a non-diamond engagement ring that’s totally classic, opt for a ring with a pearl as the main focus. A pearl engagement ring evokes elegance and timelessness — pearls are also associated with purity, loyalty, and generosity. The amethyst is a less-popular but gorgeous alternative if you’re looking for non-diamond engagement rings. 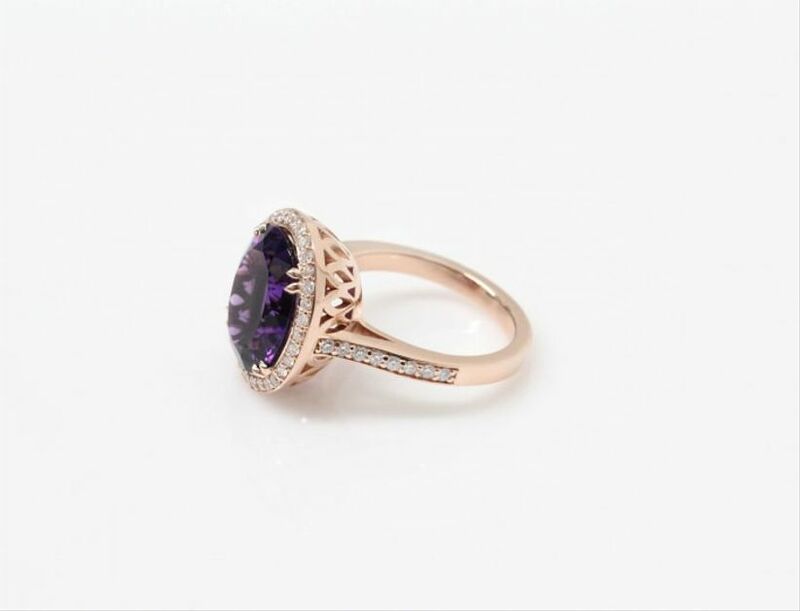 The regal purple color is especially stunning when paired with a rose gold setting and diamond halo, which make it perfect for a modern glam bride. 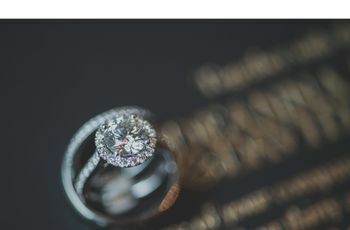 If you like the look of diamonds but don’t want to keep up with the maintenance or are trying to cut down on cost, moissanite is a worthy alternative. 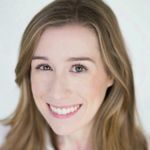 Moissanite isn’t a “fake diamond” but rather its own gemstone — it’s colorless (just like most diamonds), with about the same level of durability for everyday wear. The main difference is its refractive light index, which is higher than a diamond’s. What does that mean? 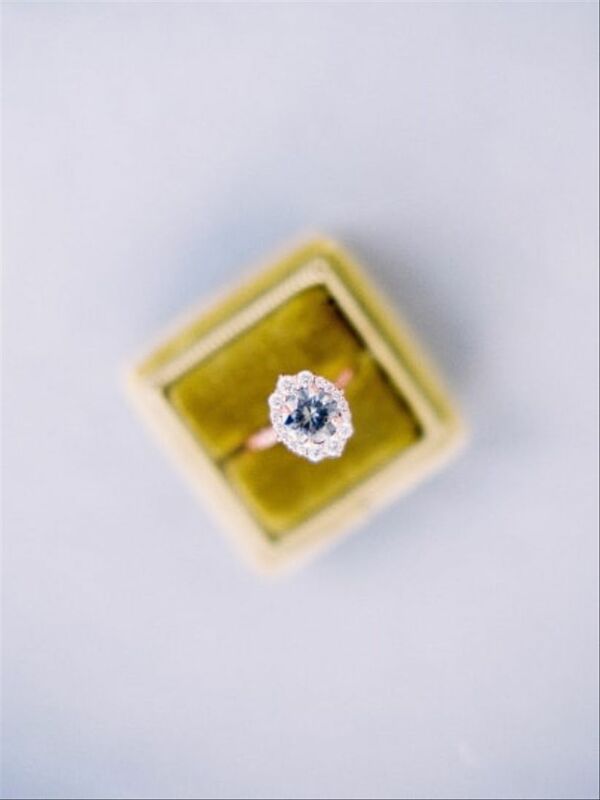 Moissanite is even more sparkly! We’ve got a feeling that blue stones will be one of the next big engagement ring trends. The Duchess of Cambridge, who famously wears Princess Diana’s dark blue sapphire ring, could very well be responsible for this trend on the rise — even more than six years after she married Prince William — but other celebrities have also been spotted rocking this blue stone more recently. Whatever the reason, we’re kind of obsessed. 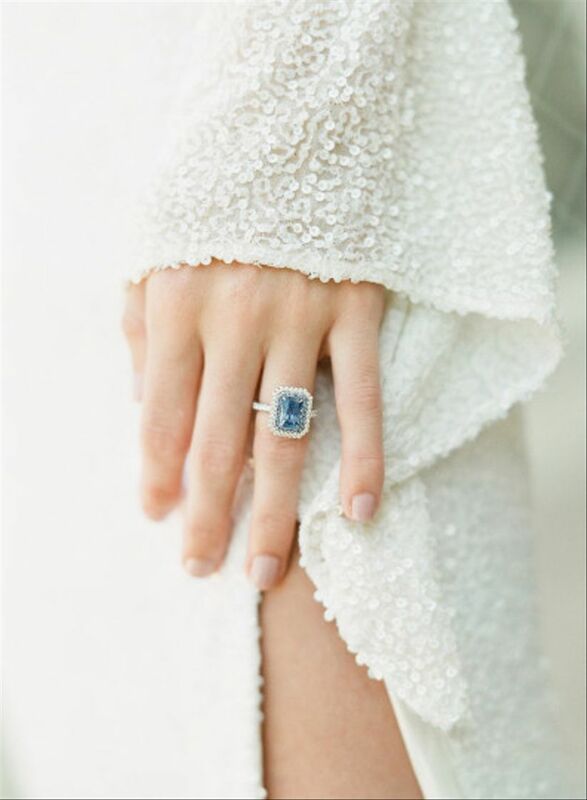 An emerald-cut sapphire ring with a delicate pave halo is utterly stunning. Sapphires come in many colors, and the oft-seen bright blue is just one of them. 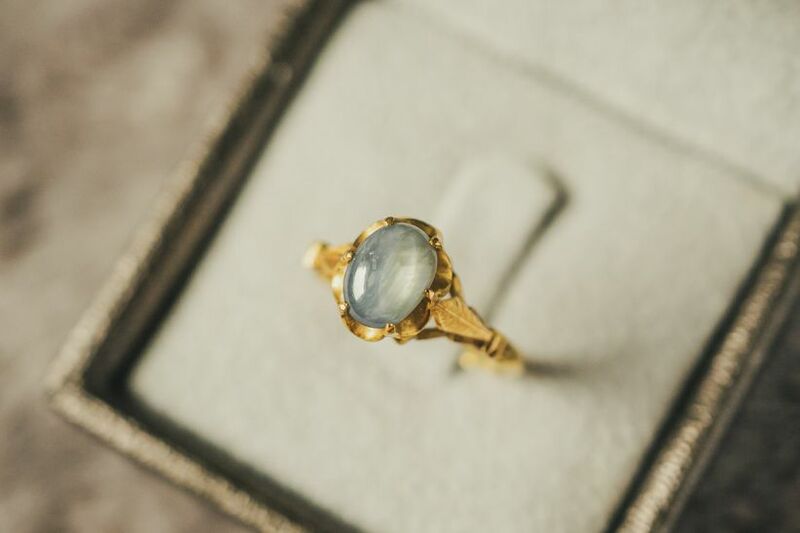 A grayish blue sapphire provides a slightly vintage look, especially when paired with a yellow gold setting. You can also find sapphires (which are the birthstone for September) in a range of pink, purple, orange, yellow, and green colors. Aquamarines are another blue stone we love, and they’re typically priced lower per carat than sapphires and blue diamonds. A solitaire aquamarine and platinum ring is simple but distinctive. 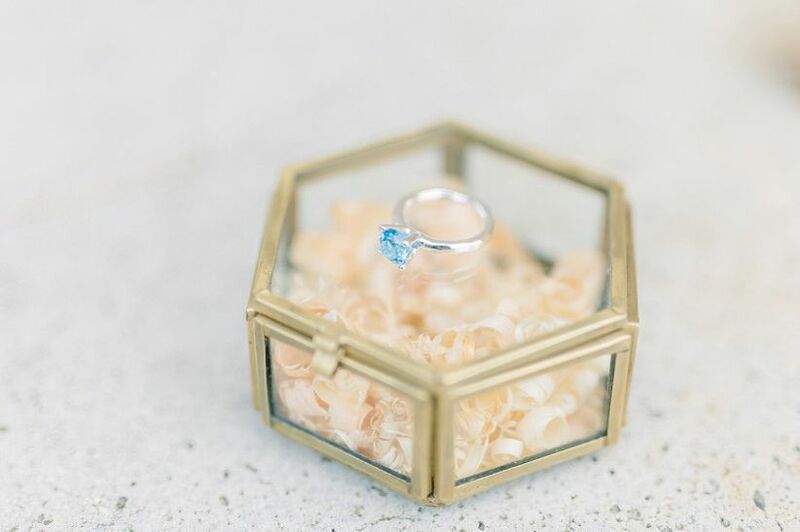 Aquamarines have a durability rating of 7.5 to 8 (compared to diamonds, which are rated at 10), but with the proper care and protection, this stone can last a lifetime. 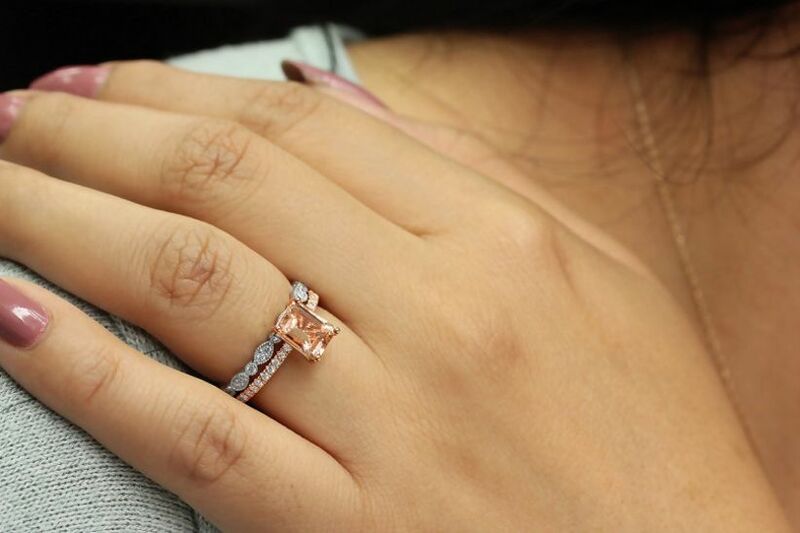 Morganite engagement rings are extremely popular among couples who are looking for stones other than diamonds These pink gemstones (yes, they’re naturally pink!) are more rare than diamonds, but surprisingly more affordable at about $300 a carat. 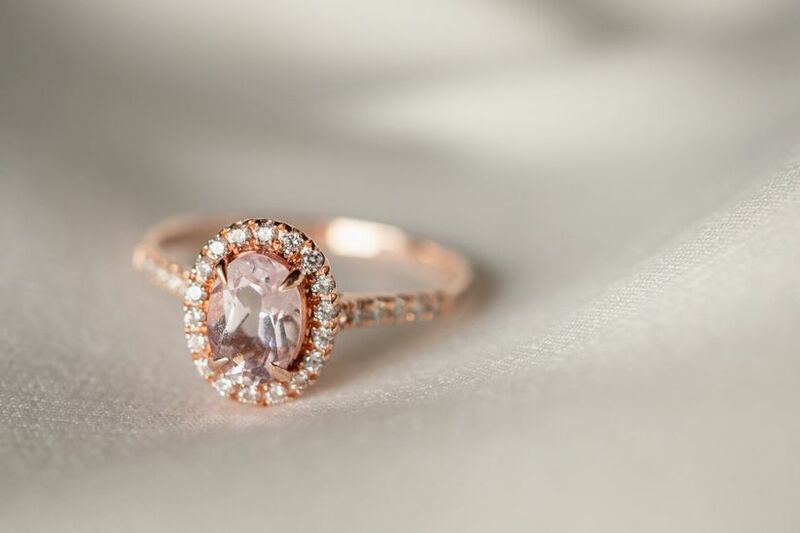 You can find morganite stones in a range of pink colors, from pale blush to deep salmon. How romantic is this ruby engagement ring? 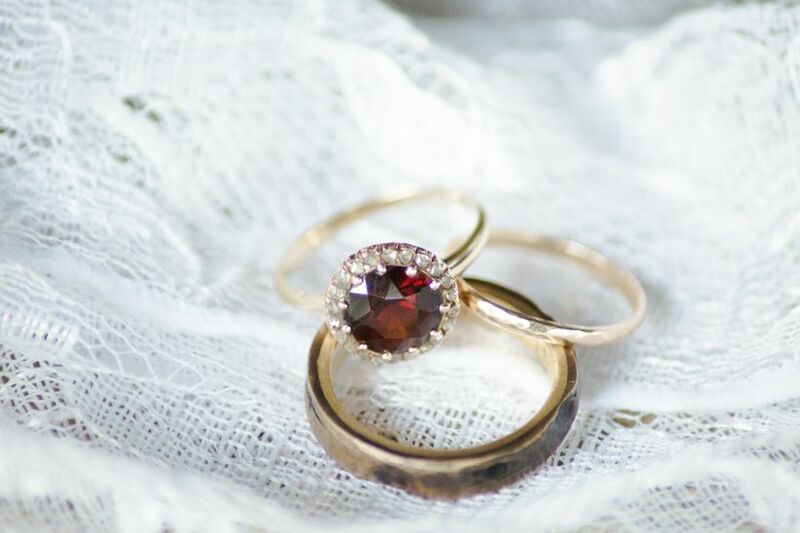 The ruby is the birthstone for July, making this gem an ideal choice for brides born during that month, but rubies also get our vote for pretty much anyone who’s looking to make a statement with their engagement ring. Also known as milky opals, white opals are the cool girl’s choice for non-diamond engagement rings. This pearlescent stone subtly changes color depending on how you look at it, giving it a truly unique quality. 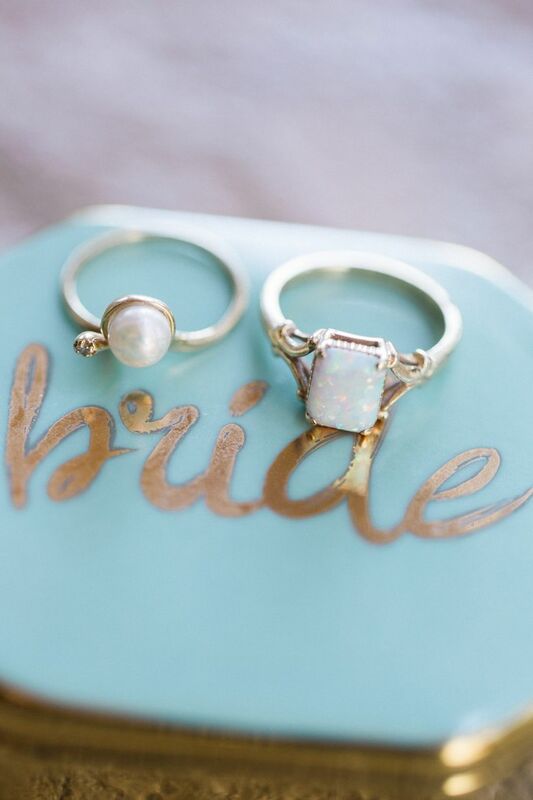 Opals have a slightly bohemian, celestial vibe, making them perfect for trendsetting brides. They’re said to encourage positive energy and confidence for the wearer, and can also be found in green, blue, and black varieties.